The Higher Education Commission (HEC) has announced the ranking of Pakistani universities for the year 2013 on the basis of quality and research. 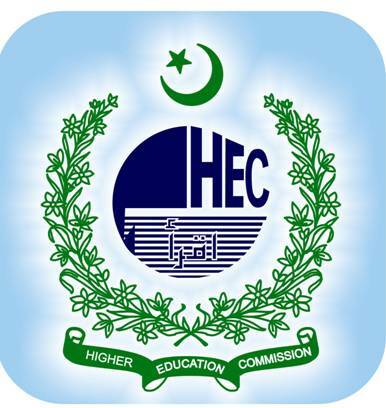 HEC Chairman Dr Javaid Leghari made the announcement at a press conference held at the Commission Secretariat on Friday. Among “Agriculture/Veterinary” category, top five universities announced by HEC included University of Agriculture, Faisalabad, Pir Mehr Ali Shah Arid Agriculture University, Rawalpindi, University of Veterinary and Animal Sciences, Lahore, The University of Agriculture, Peshawar and Sindh Agriculture University, Tandojam and Lasbela University of Agriculture, Water and Marine Sciences. In “Engineering and Technology” category, Pakistan Institute of Engineering and Applied Science, Islamabad, University of Engineering and Technology, Lahore, Ghulam Ishaq Khan Institute of Engineering and Technology, Swabi, Mehran University of Engineering and Technology, Jamshoro and Institute of Space Technology, Islamabad were announced to be among the best in Pakistan. In “Business Education” category, Lahore University of Management Sciences, Lahore, Institute of Business Administration, Karachi, Institute of Business Administration, Sukkar, Shaheed Zulifikar Ali Bhutto Institute of Science and Technology, Karachi and Institute of Management Sciences, Peshawar as the top universities. Meanwhile, in “Medical” category, Aga Khan University, Karachi, University of Health Sciences, Lahore, Dow University of Health Sciences, Karachi, Liaquat University of Medical and Health Sciences, Jamshoro, Khyber Medical University, Peshawar, King Edward Medical University, Lahore were declared top universities by the HEC. In “General Universities” category, National University of Sciences and Technology, Islamabad, University of the Punjab, Lahore, University of Karachi, Karachi, COMSATS Institute of Information Technology, Islamabad, Government College University, Faisalabad, University of Peshawar, Peshawar, Shah Abdul Latif University, Khairpur, the Islamia University of Bahawalpur. “General Universities” (Medium) included Quaid-i-Azam University, Islamabad, Government College University, Lahore, National University of Computer and Emerging Sciences, Islamabad, Fatima Jinnah Women University Rawalpindi, Gomal University, DI Khan and University of Azad Jammu and Kashmir, Muzaffarabad. “General Universities” in small category included, The University of Faisalabad, Faisalabad, Beaconhouse National University, Lahore, Pakistan Institute of Development Economics (PIDE), Islamabad, University of Science and Technology, Bannu, Isra University, Hyderabad and Foundation University, Islamabad. The primary purpose of the ranking exercise was to drive the higher education institutions (HEIs) towards improved quality and research and to promote a culture among HEIs of Pakistan to make their way into world rankings. Speaking on the occasion, Dr Leghari said that in order to strengthen the quality of higher education in Pakistan, the HEC had taken various initiatives to bring the HEIs of Pakistan at par with international standards. Ranking is one of the measures to scale the success of efforts of the HEIs to achieve international level competitiveness in education, research and innovation, he added. The Higher Education Commission (HEC) only ranked the highly rated universities of Pakistan. Amazing , HEC misses NED University of Engg.& Tech. Karachi. how about cs of national univerity…..
plz tell me about air uni for electricle engeneering. . . . . .???? what about cs of International Islamic University??? i am going to apply in comsats so its a good news..